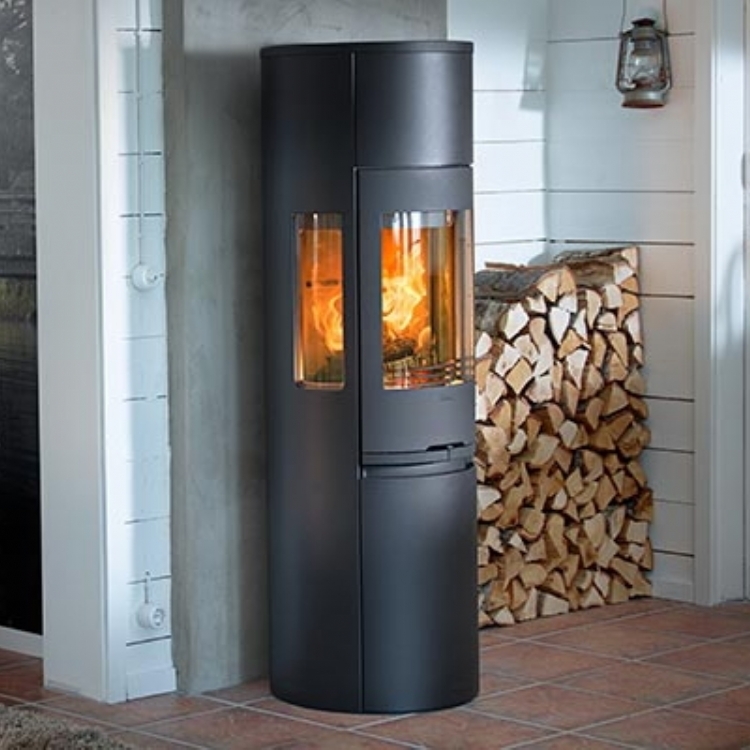 Contura 556 on a circular honed slate hearth wood burning stove installation from Kernow Fires. 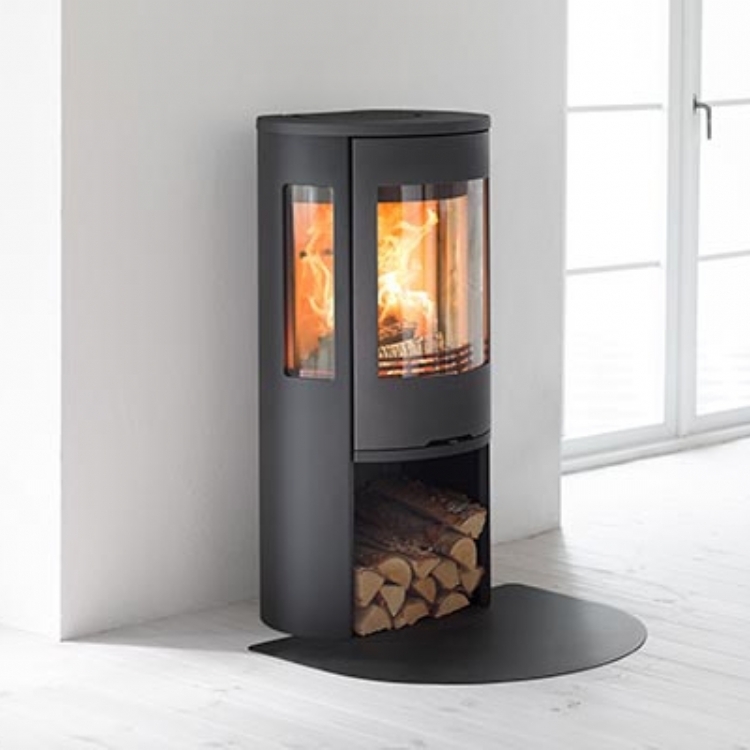 The Contura 556 is a circular stove which lends itself to having a circular hearth. 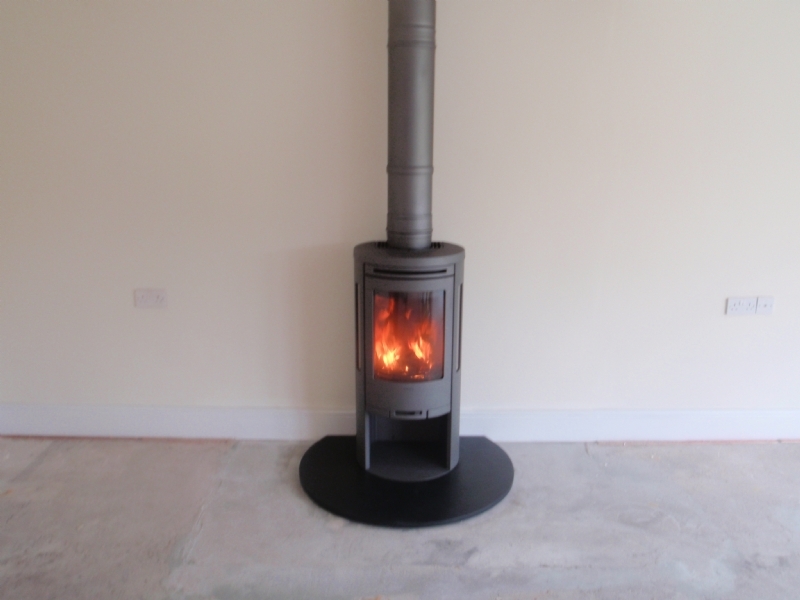 Here we made a bespoke honed slate hearth for the fire to sit on. 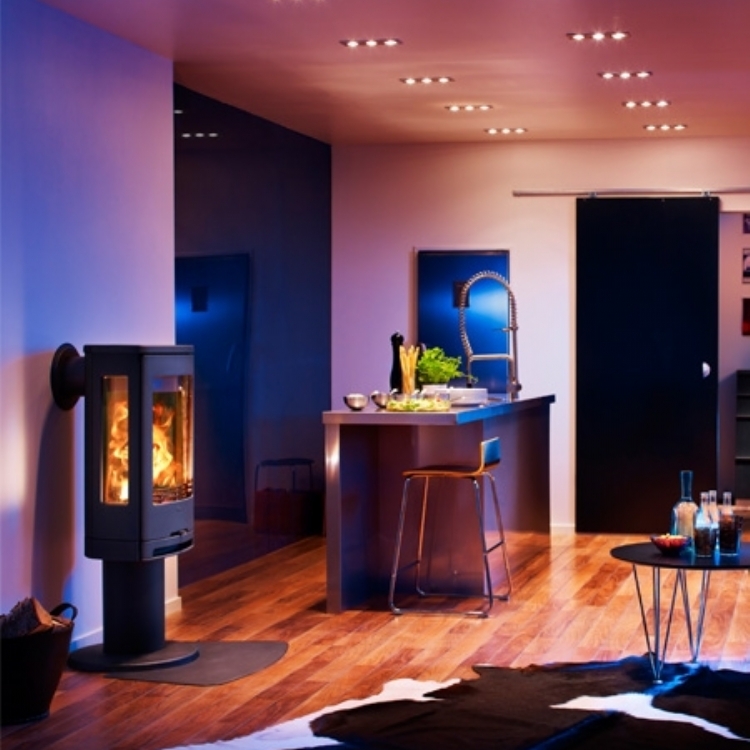 The fire was fitted using a twin wall chimney system.